So, Who uses Coaching Tools and Exercises? Who Can I Use These Coaching Tools With? 1. What ARE Coaching Tools? The purpose of these coaching tools is to help your clients explore themselves - either as homework in their own time, in session or perhaps in a seminar with you. They are a mix of familiar exercises eg. The Wheel of Life, SWOT and The Urgent/Important Matrix and innovated exercises like "Eat Your Elephant" or "Troll Travels". 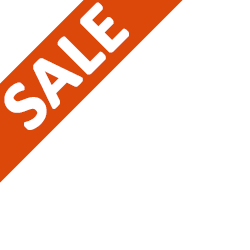 Check out our Coaching Tools Catalogue here >>. 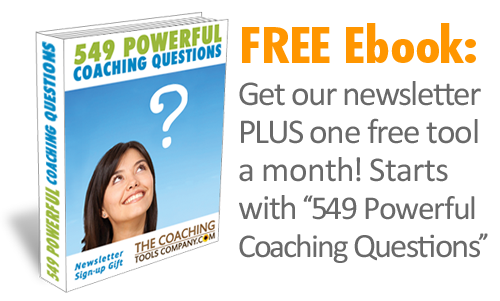 You may also like our article: Coaching Tools 101 - OK, So What ARE Coaching Tools Anyway? What builds a client practice is not the tools but the coach or therapist themselves - YOU - and the relationship you build with your clients. The aim of the tools is to help you, the coach or therapist, facilitate change through new ways of client self-exploration! The Coaching Tools you will find here are professional, look great and are ready to go! As long as you follow the licensing terms, you simply add your business name and logo if you have one (more graphics and colour on the forms and tools makes them more visually appealing) and start using them with your clients right away! All the tools have a simple, common look to them. Each tool has been hand-crafted to look good, be professional AND fun (we learn more when we have fun). A lot of thought has gone into the wording, graphics, layout and structure of these tools. I have used my understanding of NLP (neuro-linguistic-programming) and my own coaching and therapy experiences to create tools that are both visually and intellectually appealing. Just add your logo and the tools are ready to go just as they are. Yes, you can brand them for yourself for use with your clients both one-on-one and in seminars and workshops! Which means once you buy them you get HUGE value by using them over and again. The coaching tools are in Microsoft Word format so - providing you follow the Licensing Terms - you can amend these tools yourself – add to them or change the wording to fit your working style or niche. The tools are wonderful as homework or can be an activity to do in session. All the tools are designed to have a coach or therapist add value by reviewing and discussing the client output – delving for deeper learnings and actions to move forwards with. Unlike other coaching ‘tools’ that I have researched - these tools help the client delve deeply. 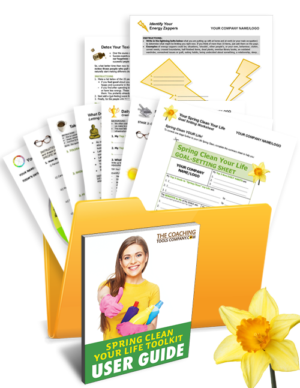 With a few fun exceptions, these tools are much more than simple assessments or quizzes – they are specifically designed to get the client to (re)think about who they are, connect with what they really want and to help them take action to move forwards. PLEASE NOTE: Whilst I enthusiastically encourage you to brand and make these tools your own, I retain copyright such that these tools are not to be sold on or used to market your business.If you would like clarification, please read more about the license terms here. 3. So, Who uses Coaching Tools? The Coaching Tools are mostly used by therapists and all types of coaches whether Executive, Career, Personal or Life, Business, Spiritual and many other niches! Each tool has a description that explains what it is designed for/to do. You decide which are relevant to the clients you serve - obviously different tools will work in different situations. You simply choose the tools that work for you. Coaches just starting out will find these tools give them focus and confidence in-session. Established coaches will enjoy adding some pizzazz and fresh activities to their practice. 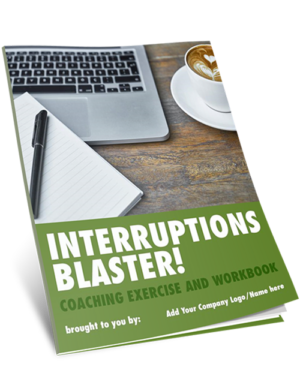 Therapists of all kinds may enjoy adding some coaching-style tools to their practice. And anyone who does training may find some of these tools helpful to add an extra dimension to their seminars and courses. 4. Who Can I Use These Tools With? Well, the easiest way to answer this is to let you know the type of clients that I’ve successfully used these tools with. They are Project Managers, Lawyers, Accountants, Engineers, Computer programmers, Teachers, HR Specialists, Marketing and Sales Professionals, Writers and Entrepreneurs or Small Business Owners. And the occasional Dance teacher, Roads Foreman, Location Scout and Mom. A large portion – but not all – of my clients have been women. Unexpectedly, I found the men enjoyed the tools just as much – if not more – than the women. I think It made potentially 'airy-fairy' conversations more real and tangible somehow. The tools are mostly under $10, professional, have a consistent look and feel and have been extensively road-tested! Brandable. Add your own logo/details and they’re ready to go to work for you! Let’s say you’re worth $100 an hour. Could you create one of these tools in 6 minutes? Could your VA or personal assistant create one of these tools in 15 minutes or less? We could charge more, but we really enjoy researching, thinking up and creating these tools. So, it’s fun for us. And we want buying these tools to be a 'no-brainer' - the more people that buy them the more people that will benefit from them! And obviously the more coaching tools we sell, the better it is for us! We also live in a world where coaching and therapy are more important than ever to help people think for themselves, learn, grow and be truly happy (or perhaps simply content). Coaching is a growth industry! Although we want you to brand these tools for yourself and use them with clients in your practice, we retain copyright. 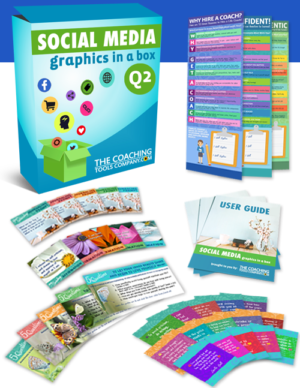 The Coaching Tools, Exercises and products are not priced to be used for marketing or promotional purposes - whether they are given away or resold. Read more about the License here.